Le Present J19570.095 S Grey Fiber Pot Cone44; 27.6 x 13.7 in. 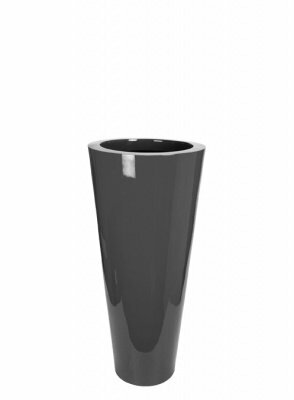 Le Present J190130.095 L Grey Fiber Pot Cylinder44; 51 x 12 in. Le Present J195120.061 L Red Fiber Pot Cone44; 47.2 x 20.5 in. Le Present J19570.061 S Red Fiber Pot Cone44; 27.6 x 13.7 in. Le Present J19590.068 M White Fiber Pot Cone44; 35.4 x 15.7 in. Le Present J20090.095 Grey Bullet Fiber Pot44; 35.4 x 13.4 in. Le Present J195120.055 L Fuschia Fiber Pot Cone44; 47.2 x 20.5 in. Le Present J19590.051 M Royal Blue Fiber Pot Cone44; 35.4 x 15.7 in. Le Present J195120.095 L Grey Fiber Pot Cone44; 47.2 x 20.5 in. Le Present J190112.068 M White Fiber Pot Cylinder44; 44 x 12 in.